The latest plot twist in the endless historical saga of Afghanistan as a graveyard of empires has thrown up an intriguing new chapter. For the past two months, Beijing and Kabul have been discussing the possibility of setting up a military base alongside Afghanistan’s border with China. “We are going to build it [the base] and the Chinese government has committed to help financially, provide equipment and train Afghan soldiers,” Mohammad Radmanesh, a spokesman for the Afghan Ministry of Defense, admitted to the AFP. “We are going to build it [the base] and the Chinese government has committed to help the division financially, provide equipment and train the Afghan soldiers,” he added. 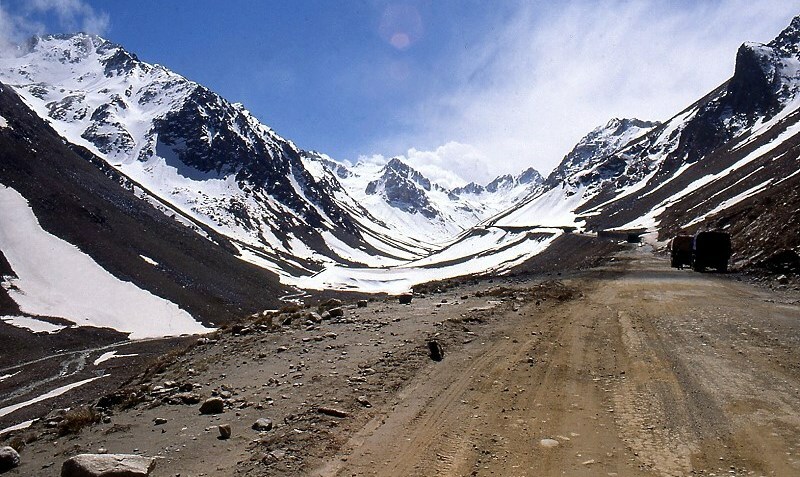 The military base will eventually be built in the mountainous Wakhan Corridor, a narrow strip of territory in northeastern Afghanistan that extends to China and separates Tajikistan from Pakistan. It is one of the most spectacular, barren and remote stretches of Central Asia and according to local Kyrgyz nomads, joint Afghan-Chinese patrols are already active there. True to Sydney Wignall’s fabled Spy on the Roof of the World ethos, a great deal of shadow play is in effect. Apparently, this is basically about China’s own war on terror. Beijing’s strategic priority is to prevent Uyghur fighters of the East Turkestan Islamic Movement (ETIM), who have been exiled in Afghanistan, crossing the Wakhan Corridor to carry out operations across Xinjiang, an autonomous territory in northwest China. There is also the fear that ISIS or Daesh jihadis from Syria and Iraq may also use Afghanistan as a springboard to reach the country. Even though the jihad galaxy may be split, Beijing is concerned about ETIM. As early as September 2013, the capo of historic al-Qaeda, Ayman al-Zawahiri, supported jihad against China in Xinjiang. Later, in July 2014, Abu Bakr Al-Baghdadi, the leader of Daesh said: “Muslim rights [should be] forcibly seized in China, India and Palestine.” Then, on March 1, 2017, Daesh released a video announcing its presence in Afghanistan, with the terror group’s Uyghur jihadis vowing, on the record, to “shed blood like rivers” in Xinjiang. At the heart of the matter is China’s Belt and Road Initiative, or the New Silk Road, which will connect China with Asia, Africa, the Middle East and Europe. For Beijing, the stability of one of its links, the $57 billion China-Pakistan Economic Corridor (CPEC), is seriously compromised if terror threats abound in Central and South Asia. It could also affect China’s sizable investments in Afghanistan’s mineral mining industry. The Chinese and Russian strategies are similar. After all, they have been discussed at every meeting of the Shanghai Cooperation Organization (SCO), of which Afghanistan is an observer and future full member. For the Russia-China partnership, the future of a peaceful Afghanistan must be decided in Asia, by Asians, and at the SCO. In December, Russian Foreign Minister Sergey Lavrov told diplomats from fellow BRICS (Brazil, Russia, India, China and South Africa) member India that Moscow favors talking to the Taliban. He said this was the only way to reduce the risk of terror operations emanating from Afghanistan to Central Asia. The question is which Taliban to talk to. There are roughly two main factions. The moderates favor a peace process and are against jihadism, while the radicals, who have been fighting the US and NATO-supported government in Kabul. Moscow’s strategy is pragmatic. Russia, Iran, India, Afghanistan and the Central Asian “stans” have reportedly held meetings to map out possible solutions. China, meanwhile, remains an active member of the Quadrilateral Coordination Group (QCG) promoting a peace deal and reconciliation process which will include the Kabul and the Taliban. Beijing’s multi-pronged strategy is now clear. Ultimately, Afghanistan must become integrated with CPEC. In parallel, Beijing is counting on using its “special relationship” with Pakistan to maneuver the Taliban into a sustainable peace process. The appointment of Liu Jinsong as the new Chinese ambassador to Kabul is significant. Liu was raised in Xinjiang and was a director of the Belt and Road Initiative’s $15 billion Silk Road Fund from 2012 to 2015. He knows the intricacies of the region. Even before Liu’s arrival, the Chinese Foreign Minister, Wang Yi, had announced that Beijing and Islamabad would extend CPEC to Kabul with six projects selected as priorities. They included a revamped Peshawar-Kabul highway and a trans-Afghan highway linking Pakistan, Afghanistan and Central Asia. Of course, that would neatly fall into place with a possible Chinese military base in Gwadar port in Pakistan, the Arabian Sea terminal of CPEC, and one in the Wakhan corridor. Now, compare the Russia-China approach with Washington’s strategy. President Donald Trump’s foreign policy involves defeating the Taliban on the ground before forcing them to negotiate with Kabul. With the Taliban able to control key areas of Afghan territory, the Trump administration has opted for a mini-surge. That may be as “successful” as President Obama’s much-touted 2009 surge. The US government has never made public any projection for the total cost of the invasion and occupation of Afghanistan. But according to the Dec. 8, 2014 version of a Congressional Research Service document – the latest to be made public – it had spent up until then, $1.6 trillion on the invasion and military occupation of Iraq and Afghanistan. Which brings us to the question: Why does the US remain in Afghanistan? After more than a trillion dollars lost and nothing really to show for it, no wonder all eyes are now on Beijing to see if China can come up with a ‘win-win’ situation. Copyright © 2014 AKF-Europe.org - Arbeitskreis für Friendenspolitik. Alle Rechte vorbehalten.